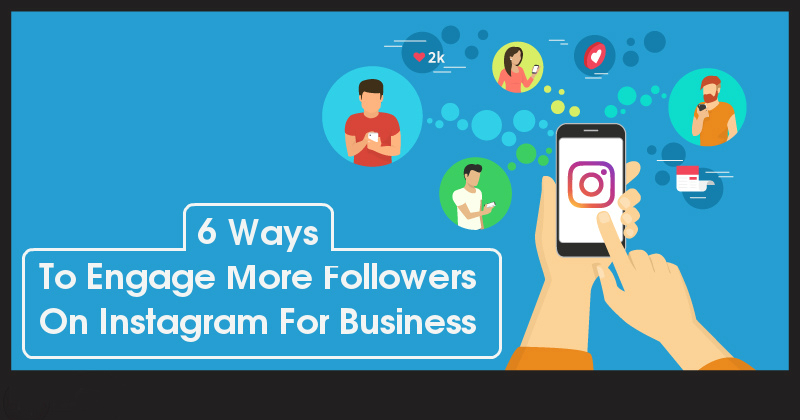 Your success on Instagram completely depends on what you post on your business profile. A statistic shows that around 86% of top brands have Instagram accounts, which has grown from 71% from the last year. Today, visual content is majorly liked by audience and it fetches sales leads. Many marketers are setting up sponsored ads as revenue from ads is expected to reach almost $7 billion this year, suggests a marketing data from Statista. For retailers, adding product centric photos is one of the best ideas as your followers will get to know what are the current product launches. They would be keen to splurge on your product when it is presented in a creative way. According to one study, 93% of buying decisions are based on visual appearance. Add team/ fun photos of festivals or events that takes place at your workplace. Today, user-generated content is one of the most powerful content sources for social media. Grow your engagement and attract prospective employees who would love to join your organization. This is a great way to get people interested and hyped. If you’re involved in any CSR activity, it is best to post them on Instagram. Followers will always like to follow brands that highly care about environment, people or any philanthropic initiative that makes society better. So, the next time you contribute for any social cause, make sure you spread the word using Instagram. Want to engage better with your followers? Adding insta stories is a great way to let them know what happens behind the scenes. The ‘stories’ section has also got several options like video filmed backwards, animated gifs, filters or live video to make it more intriguing. Promotional posts like contests or offers are always a breather as compared to common posts that covers your brand, product or employee engagement. This will not only help to generate engagement, but also help you grow followers. It is always a delight to reminisce on good old memories. If you been associated with the brand for quite a long time, you can think of posting early versions of your products. One such brand that has been using this theme very well is BMW. It posts photos of its classic four wheeler models. Whether it is memes, employee/ customer videos or inspirational quote, Instagram is one creative space where you can win customers. We hope these six post ideas will help you get your creative juices flowing. All you need to do is experiment with creative content. Do you know digital marketing fetches you better business results better than traditional marketing? We know how to make it possible. Futurescape Advertising is one of the best advertising agencies based in Navi Mumbai. For digital or print enquiries, get in touch with us today.